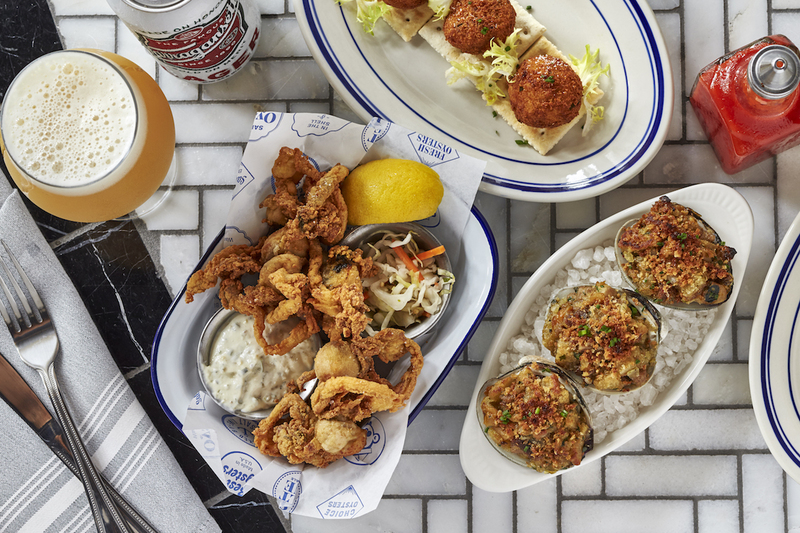 No matter where you go in America, there are unique dishes to sample – from New England lobster rolls and Low Country shrimp and grits to Wisconsin fried cheese curds and Chesapeake crab cakes. Here are 12 outstanding regional specialties worth the trip. Enjoy two tastes of New England. The stuffies are baked middleneck clams topped with smoked linguiça sausage and seasoned breadcrumbs, while the coddies are giant croquettes packed with salt cod and mashed Yukon Gold potatoes. Either way you go, you’re guaranteed a winner. Make a reservation at the Salt Line. The origins of the Cuban sandwich are hazy – some believe it was conceived stateside in Key West or Tampa, while the others insist it was created in Havana. No matter where it’s from, this rendition is faithful to the tradition. 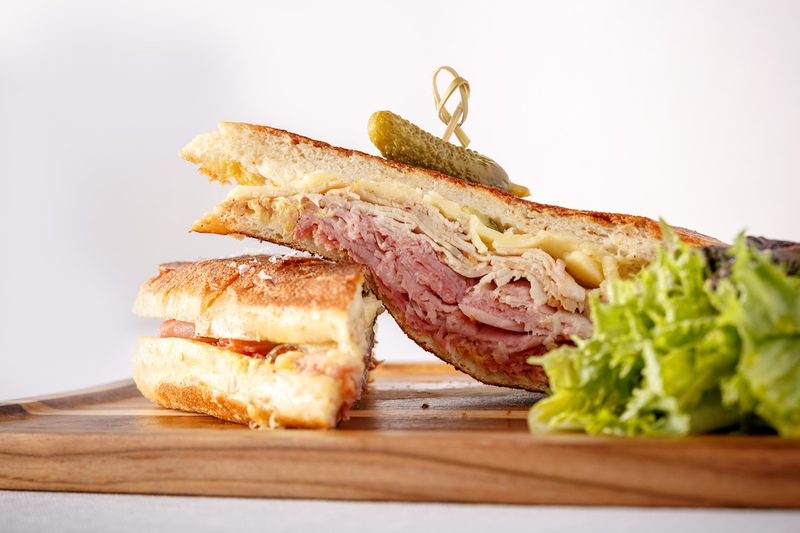 The pressed ‘wich is packed with roast pork, ham, salami, Swiss cheese, pickles, and a slather of mustard. Make a reservation at Terra Mare. 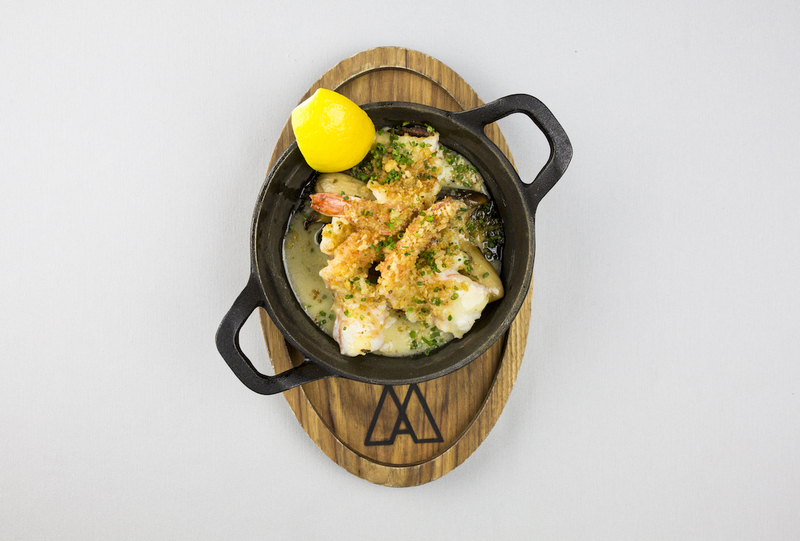 If you’re not familiar with the Chicago steakhouse scene, you probably haven’t had shrimp DeJonghe, a shrimp casserole topped with breadcrumbs fortified by sherry and garlic. This upscale version begins by searing the shellfish over the wood-powered hearth. They’re served with trumpet mushrooms and lavished with rich uni butter. Make a reservation at Maple & Ash. 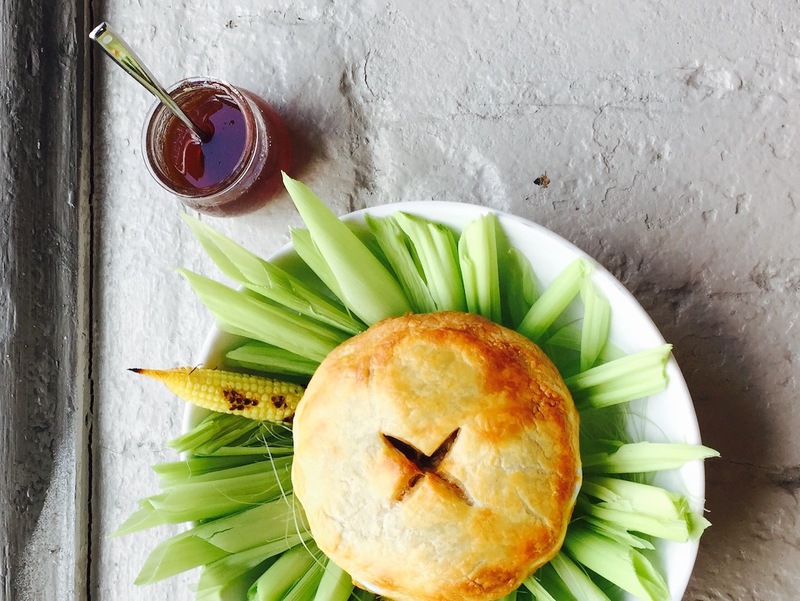 Quebecois tourtiere gets a Cajun accent. Puff pastry hides crawfish, mirliton squash, and Tabasco honey. The end results are a unique taste of New Orleans. Make a reservation at Sac-a-Lait. 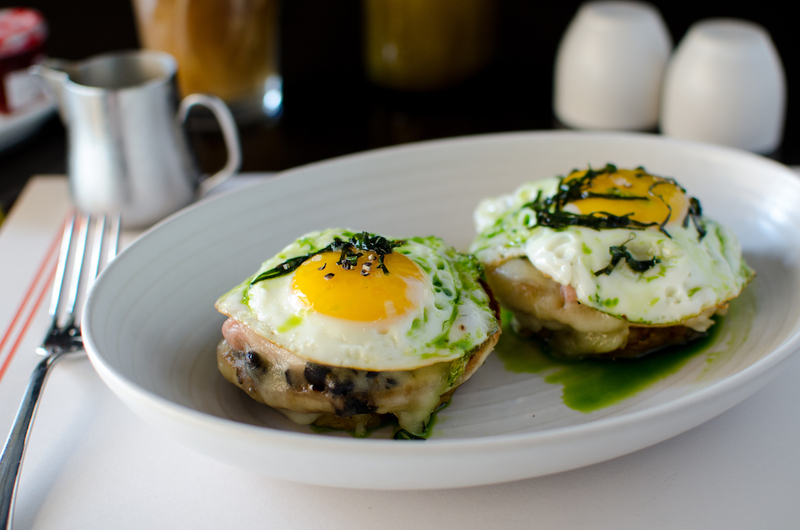 Loco moco is a favorite in Hawaii, the birthplace of chef-owner Troy Guard. 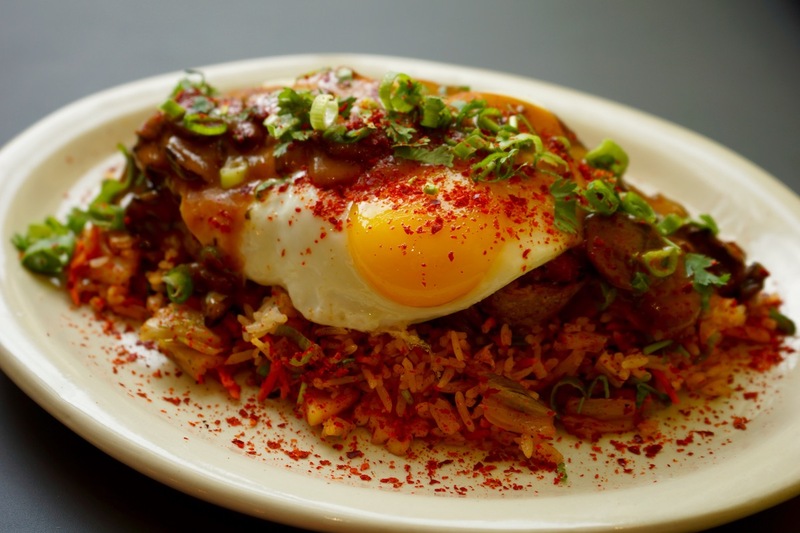 His version of the stomach- busting comfort food features meatloaf, a pair of fried eggs, kimchi fried rice, and mushroom gravy. Sadly, there’s no beach nearby where you can lie down and catch some rays afterward. Make a reservation at # HashTAG. These boudin balls are completely vegan. That’s because a mixture of three types of mushrooms, charred eggplant, and Louisiana jasmine rice stand in for the usual pork and rice sausage in the NOLA favorite. 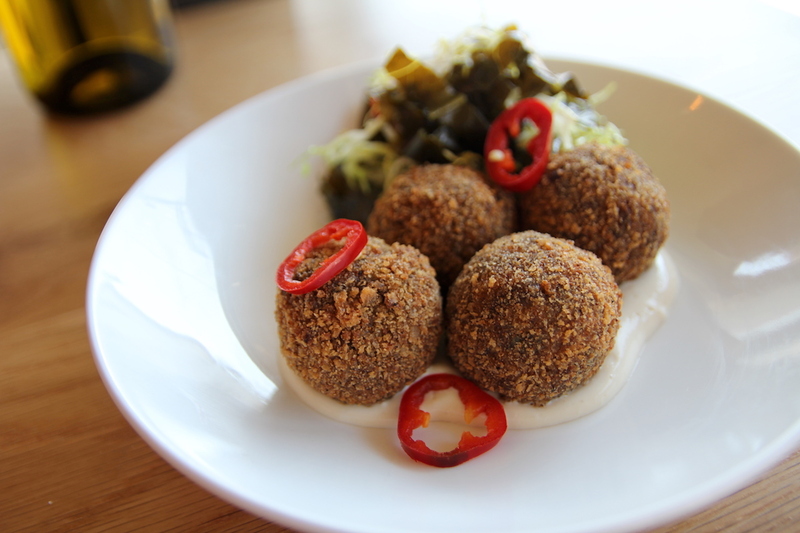 The deep-fried balls arrived with smoked tofu mayo and collard pickles. Make a reservation at D.T.B. Think of molletes as a Cuban version of a Benedict. An English muffin gets topped off with ham, Swiss cheese, black beans, pickled mojo sauce, mashed sweet plantains, and fried eggs. Eso es sabroso (That’s tasty)! Make a reservation at LT Steak & Seafood. This Wisconsin import isn’t afraid to show off its Midwestern roots. 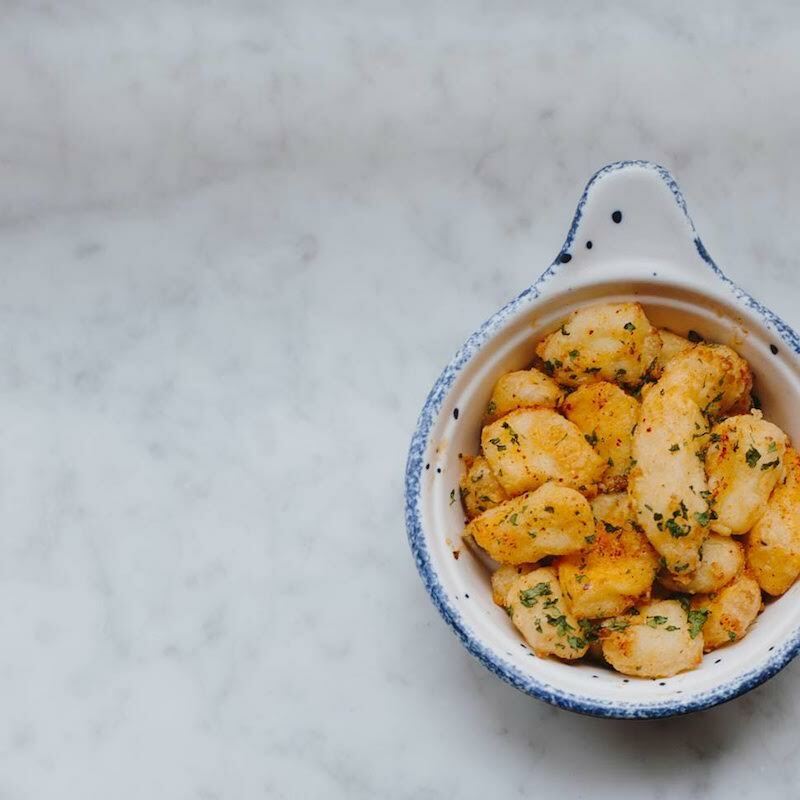 Case in point are these fried cheese curds, which sport a sourdough crust and are graced with delicately diced herbs. Are you gonna love this humdinger? You-betcha! Make a reservation at Rare Steakhouse. Croquettes are a Spanish favorite, the deep-fried balls often coming stuffed with ham, chicken, or cheese. This version features crab instead. 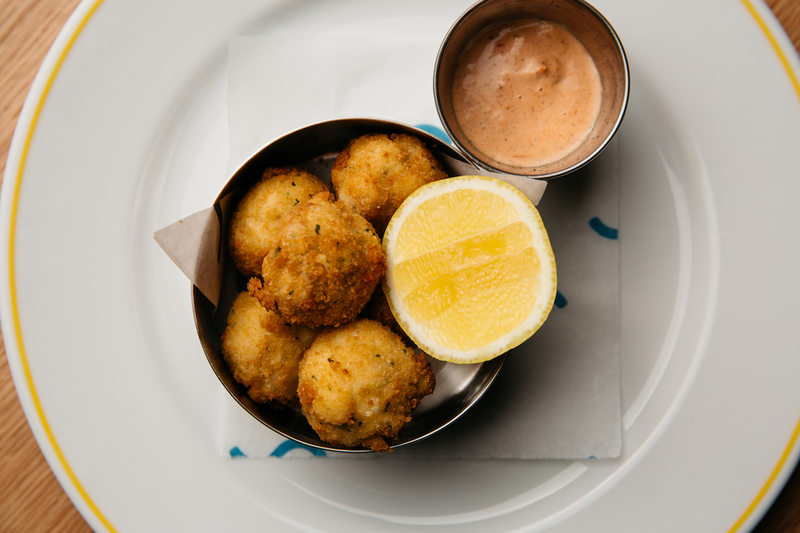 The frizzled spheres come with the restaurant’s secret comeback sauce. Make a reservation at Point Royal. What the shuck! 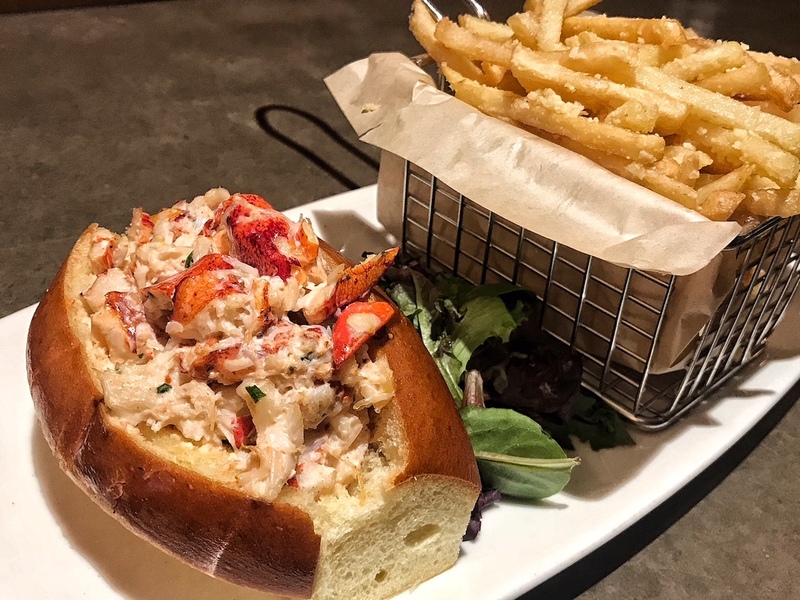 This take on the New England classic features primo chunks of lobster tossed with citrus tarragon aioli in a buttered brioche roll. A thicket of truffle-amped, parmesan-dusted fries accompanies the seaworthy sando. Make a reservation at Precinct Kitchen + Bar. Shrimp and grits have been a Low Country standard for centuries. 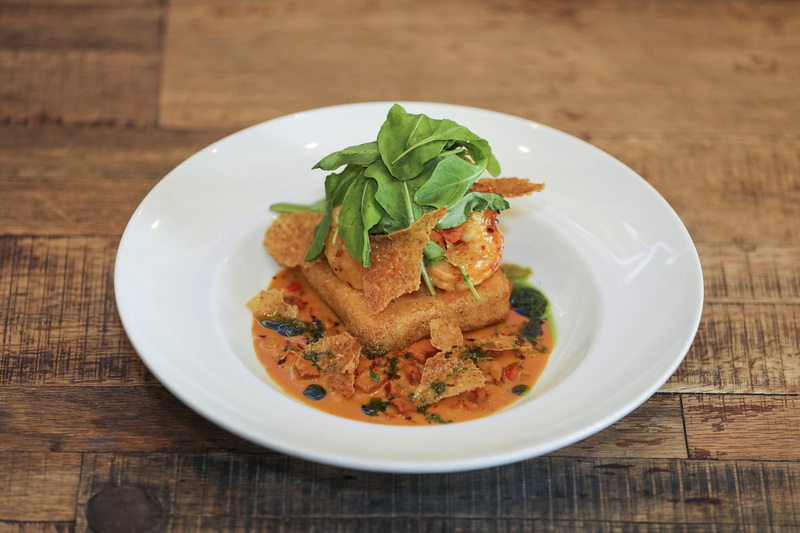 This modern-minded version features grit cakes topped with sautéed shrimp and Andouille sausage, all lavished with a lobster cream sauce. The plate is finished off with basil-arugula salsa verde to cut through all the richness. Make a reservation at Havana Beach. 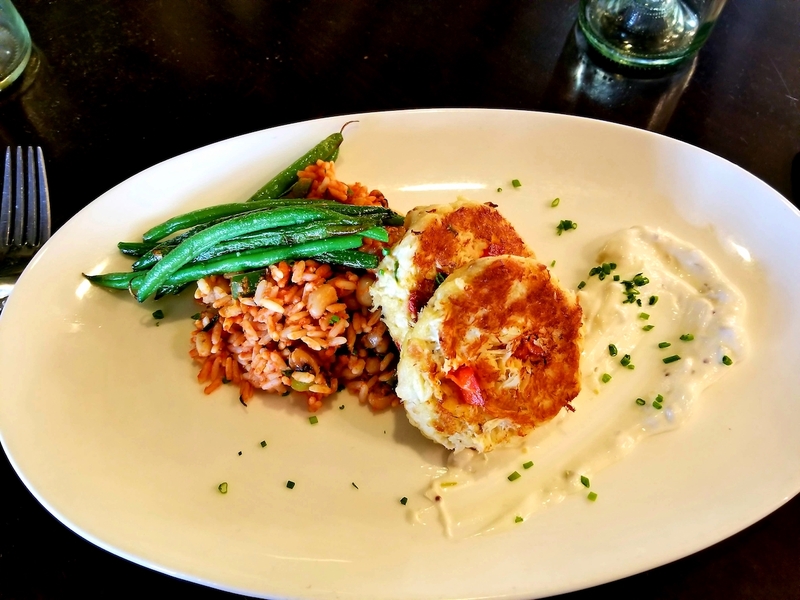 When you visit Chesapeake watershed, you have to have some crab cakes. These are made with generous lumps of Maryland blue crab seasoned with mustard seed and roasted red bell pepper for a smidge of smokiness. Creole remoulade adds a New Orleanian flourish. Make a reservation at Jackson 20. What are your favorite regional specialties? Let us know here in the comments or over on Facebook, G+, Instagram, Pinterest, or Twitter. And, remember to snap + share your #dishpics with us on Instagram for a chance to win in our weekly giveaway. Photo credits: Max Cusimano (DTB); Anjali Pinto (LT Steak & Seafood); Maya Oren (Rare); Greg Powers (The Salt Line).